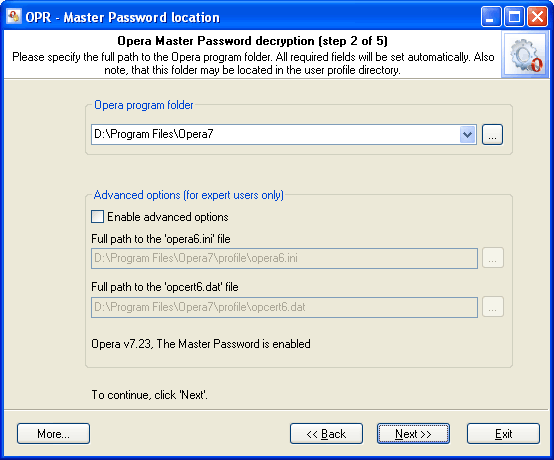 Select the folder where Opera stores its Master Password. Normally, the program does that automatically and allows you to select the folder manually if you have two or more versions of this popular browser installed on your computer. You can also do that by hand by entering the path to two files: opera6.ini and opcert6.dat. Both of them are stored in Opera's profile. See the figure with the example.